Businesses of all sizes are wondering how changes to the American healthcare system will affect them. Maybe you’re wondering whether you are required to provide health care coverage for your employees? For many employers, answering this question has not been easy. This is a 101 guide to help business owners understand their responsibilities. All Americans must have health insurance. Businesses over a certain size must provide affordable coverage. The key is, “businesses over a certain size” aka Applicable Large Employers. Applicable Large Employers (ALEs) are defined as businesses with 50 or more full-time equivalent employees. If your business is defined as an ALE, then you are subject to the Employer Mandate, also known as the Employer Shared Responsibility Payments, or the Pay or Play decision. The employer mandate is a provision requiring ALEs provide adequate health insurance to employees or they must pay a penalty fee. The employer provided coverage must be affordable to employees and must cover typical medical expenses in order to meet ACA compliance standards. Learn more about minimum value and affordability here. Are you an applicable large employer, or not? That’s the question! To answer this question you’ll need to add up your full-time employees plus the full-time equivalent of part-time employees. For some businesses, this may have been simple, but not for all. This is how you determine your FTE count. Full-Time Employees: Any employee who works an average of at least 30 hours per week in a given month. Or at least 130 hours of service in a given month. Full-Time Equivalent: The full-time equivalent of part-time employees is the number of hours worked by all your part-time employees in a given month divided by 120. For example: two employees who each work 15 hours/week are added together to equal one full-time employee. Add up the sum of your full-time and full-time equivalent of part-time employees and you will find the number used to determine if your business is an applicable large employer and if the employer mandate applies to you. If your FTE count exceeds 50, your business is considered an ALE and is subject to the employer mandate. We have created an ACA 101 guide just for ALEs, which you can find here. What if I Have Less Than 50 FTE Employees? If your business employs fewer than 50 full-time equivalent employees, you are exempt from the employer mandate, employer shared responsibility payment, and the pay or play penalty. If your count is close to reaching that threshold, pay close attention. Should that count ever reach the 50+ mark and your business is not meeting aca coverage requirements, it could result in steep penalties. That is how you determine your full-time equivalent employee count and define your responsibilities as an employer according to the ACA. 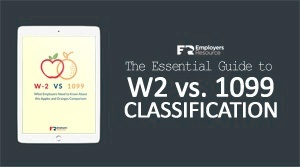 If you happen to qualify as an applicable large employer, see this article: ACA 101 for Applicable Large Employers (ALEs). It explains the forms you’ll be dealing with, important dates, and the reporting requirements for large employers. 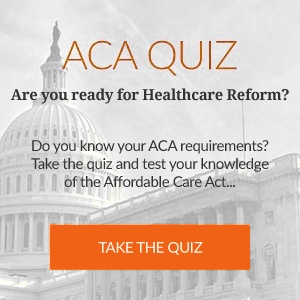 For more help understanding the new laws, visit our ACA Compliance Help Center for Employers. 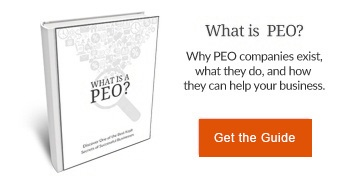 Here’s Why it Matters How Your Employees Feel at Work [INFOGRAPHIC] How Can a PEO Help My Business Win the Battle for Talent?